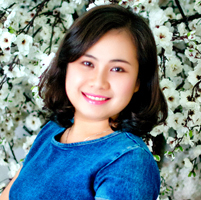 As a financial officer, Tran Thi Tu Van is responsible for preparing accounting vouchers, booking monthly expenditures, and preparing monthly/yearly financial report. She also provides assistance to Operations Manager in managing and monitoring Project RENEW’s operational budget expenditures. She also provides administrative support in all project office and project personnel administrative issues if needed. Van holds a B.A degree in Environmental Science and a Master degree in Business Management. Before joining RENEW, she worked for Danang Urban and Environment Company (URENCO) from 2005-2007.